The Management of Lonrho MES Ltd and LonAgro Tanzania are proud to announce that LonAgro Tanzania have taken the second-place position in the 2017 John Deere SSA (Sub-Saharan Africa) Dealer of the Year Awards. This is a significant achievement given that LonAgro Tanzania was awarded first-place in 2016 with LonAgro South Sudan taking the third-place spot that year. 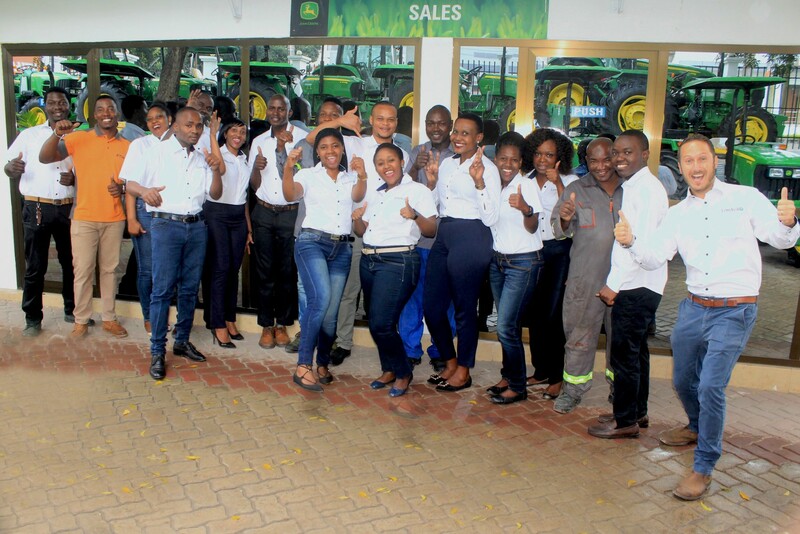 In 2015, LonAgro Tanzania took the second-place spot just behind LonAgro Mozambique and just ahead of LonAgro South Sudan in third place.The 2015 result, where one dealer group occupied the first three places on the podium, was a first in John Deere history. LonAgro Tanzania continued to make history in 2017, by becoming the first John Deere dealer to place in the top three positions for three years in a row. The John Deere Dealer of the Year is a Dealer Recognition Program that recognizes Dealer performance in a fiscal year in 23 countries within Sub Saharan Africa.Recognition of the best Dealerships each year is determined by the dealer’s performance in key areas such as market share growth, overall customer satisfaction and compliance to the John Deere training requirements to name just a few. This is a momentous achievement for LonAgro Tanzania and theLonAgro brand, and the management and staff in Tanzania must be congratulatedfor their exceptional work! The staff from LonAgro Tanzania's Dar Es Salaam branch.